Jller by Prokop Bartoníček and Benjamin Maus – helloCircuits! Jller is part of an ongoing research project in the fields of industrial automation and historical geology. It is an apparatus that sorts pebbles from a specific river by their geologic age. A set of pebbles are placed on the 2×4 meter platform of the machine, which automatically analyzes the stones. The sorting process happens in two steps: Intermediate, pre-sorted patterns are formed first, to make space for the final, ordered alignment of stones, defined by type and age. 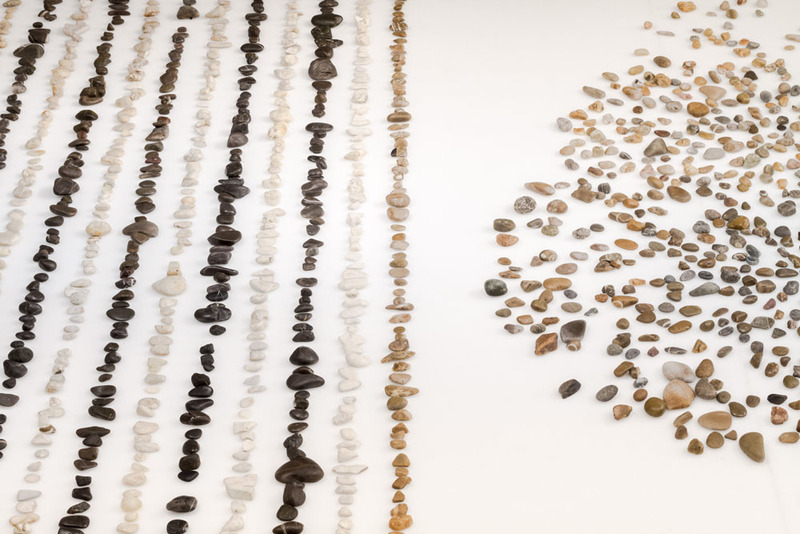 Starting from an arbitrary set of stones, this process renders the inherent history of the river visible. 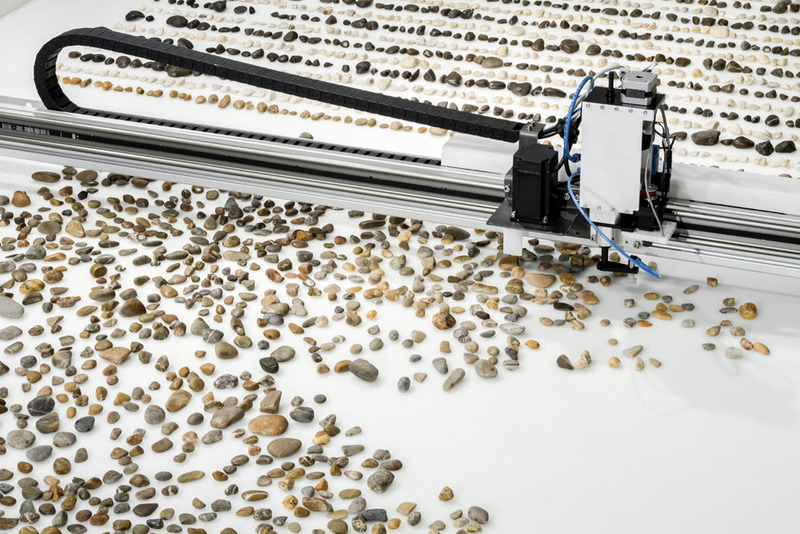 The machine works with a computer vision system that processes the images of the stones and maps each of its location on the platform throughout the ordering process. The information extracted from each stone are dominant color, color composition, and histograms of structural features such as lines, layers, patterns, grain, and surface texture. They are the result of a classification system that is trained by sets of manually selected and labeled stones. Jller is a collaboration between Prokop Bartoníček and Benjamin Maus.